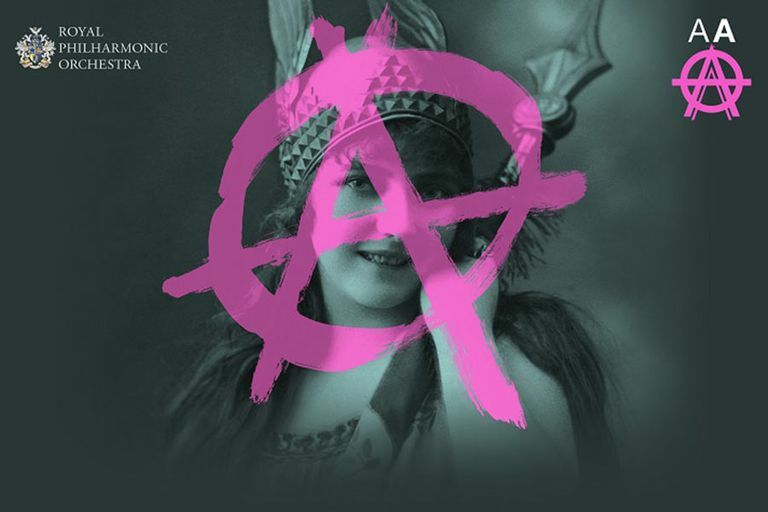 Following the success of the album, The Anarchy Arias will make its debut live performance on 10 November at London’s famous Palladium, bringing the album to life for the first time. With the Royal Philharmonic Concert Orchestra and leading operatic singers performing punks greatest hits such as Pretty Vacant, No More Heroes, Ca Plane Pour Moi and may more, this will be a show to remember. The Anarchy Arias, an operatic album of the biggest punk hits, has defied critics and ripped into the UK Official Album Chart top 20 in the midweeks. Released on Friday 9 June by Universal, the album was inspired by Glen Matlock’s string quartet version of Pretty Vacant and was performed by the Royal Philharmonic Orchestra with some of the UK’s top opera singers. For the very first the album will be performed live at the Palladium this November. In true punk fashion, The Anarchy Arias has caused controversy four decades after God Save The Queen was banned by the BBC, with a flurry of reviews attacking the album with 1 star and 2 star reviews coming from the likes of I Newspaper and The Arts Desk who went as far as to call it “one of the worst albums ever made”. However, the public disagree and have spoken en masse with actual album sales, making a hit record as surprising as punk itself was in the 1970’s. The Anarchy Arias is not available to book, please sign up to our newsletter for updates and offers on forthcoming and available shows.